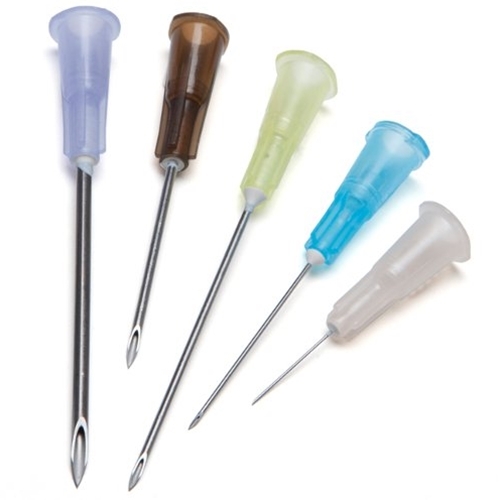 BD PrecisionGlide Single-Use Hypodermic Needles from HealthyKin.com are available in a wide range of gauges and lengths. BD needles are awesome sharp and smooth. I use 25ga x 1" for IM shots for TRT and oil flows smooth through it. Anything bigger would just be abuse! T/A was like 2 days. Lightning fast! Best price for this item from a health services internet store. Very happy with the service provided by healthykin but these BD needles don't seem to be nearly as sharp as Nipro needles I've used in the past. They def take more pressure to break skin and feel it the whole time going in.. Maybe I got a bad batch or something but I will probably not get anymore of BD after I use up what I have left.